The Sandoval County Master Gardeners offer a variety of classes, for master gardeners and the public. Classes are offered at various times and locations, some require a fee while others are free. For some classes space may be limited and pre-registration advisable. Check details for specific classes below. Each year a 15-week training session is offered for those wishing to become Master Gardeners. The classes are held Tuesday afternoons from 1:00pm – 5:00pm from January to April. These classes are based on material developed by New Mexico State University and are intended to provide a basic understanding of horticulture. Attendance in these classes is limited to those who have been accepted into the Intern Training Program and Veterans. An application and fee are required. 2019 applications are available. Master Gardeners are required to obtain at least 10 hours of continuing education each year. NMSU professors and others provide Continuing Education classes. Any of the following classes can be counted toward Continuing Education Hours. Veterans may also attend the Intern Classes. Check our EVENTS CALENDAR for ALL topics and times. Urban Horticulture Classes: These educational classes are held at the Sandoval County Extension Office the second Wednesday of the month beginning at 2:00pm (unless noted on the calendar). These classes are free and are open to the public as well as SCMG members. 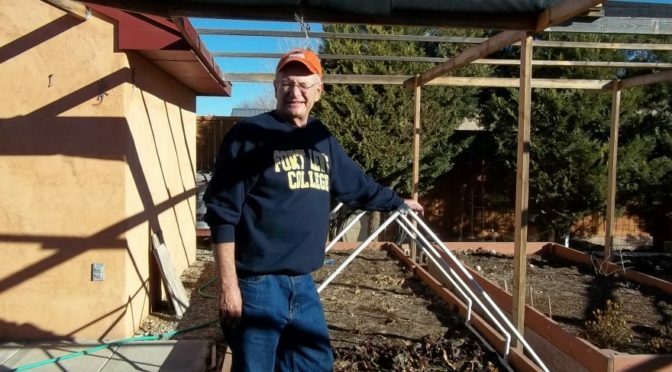 Gardening with the Masters is a series of gardening lectures held on the first Tuesday of the each month 7:00pm at the Meadowlark Senior Center in Rio Rancho. The lectures are free and open to the public. 4 Seasons Gardening is an afternoon class at Meadowlark Senior Center. The class are held the fourth Thursday of the month from 1:30pm – 3:00pm. The lectures are free and open to the public. HomeScape Solutions Design Workshop is a unique enhancement to the Master Gardener program,which inspires, empowers, encourages participants to successfully plan and execute their dream landscape. Click here to read more about the workshop and to register. Special Workshops and Classes may be held throughout the year so be sure to check our EVENTS CALENDAR for ALL topics and times. Please go to the Resource section of the website to download some of our prior class presentations.